In Defence Of Reason: More Atheist Busses? 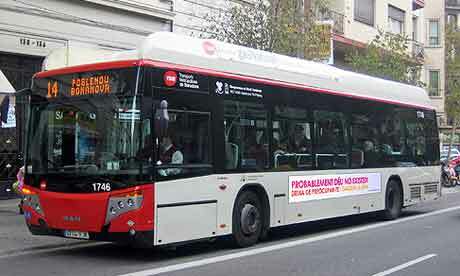 The atheist bus phenomenon seems to be growing, with the Catalan Atheists setting up a campaign in Spain. The (religious) authorities however seem to be putting pressure on the (civil) authorities to prevent the campaign from running. So much for freedom of speech. Also the Catholic church is subsidised by the Spanish government, a linking or church and state that makes me feel a little queasy.